I’m taking a trip to Boston this weekend and so is our chocolate. We met one of our retailers, Formaggio Kitchen, at the Good Food Awards in January. They won for their in-house charcuterie and had a chance to taste our chocolate while visiting SF. Awesomely, they were one of the first shops to bring our chocolate to the east coast, introducing it to a whole new set of customers. 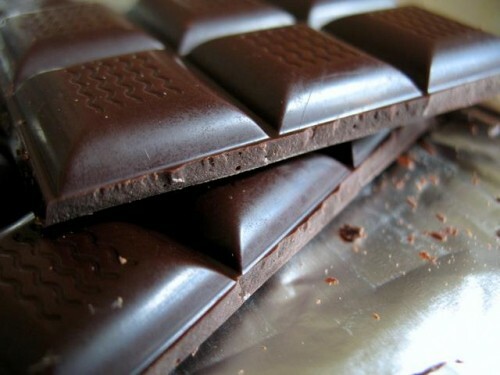 They snapped this photo at one of their first tasting sessions, saying that our bars are a perfect after-dinner treat. While I’m visiting this weekend, I’ll host a tasting on Saturday from 11 AM – 2 PM at their shop in Cambridge. If you live nearby, come visit! I’ll have our three bars to taste and I’ll be ready to answer any questions about making chocolate from the bean. Hope to see you there!